Basic storage unit of SQL Sever is called as Page. 1 Page = 8 KB. Collection of 8 contiguous pages is called as Extent. Pages should be contiguous, they should not be separated. 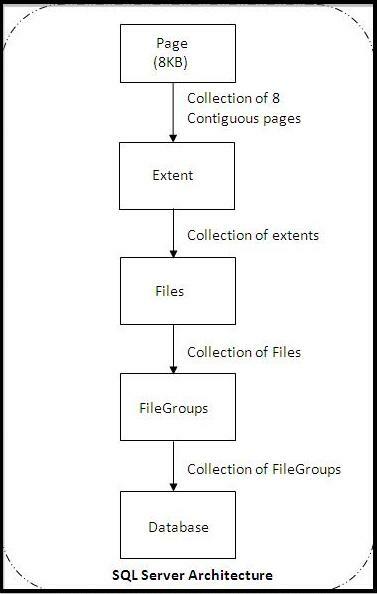 Collection of Extents is called as Files. It is a physical database file. Collection of files is called as File Groups. It is a Logical Database File. Collection of file groups is called as Database.